Oh my goodness! 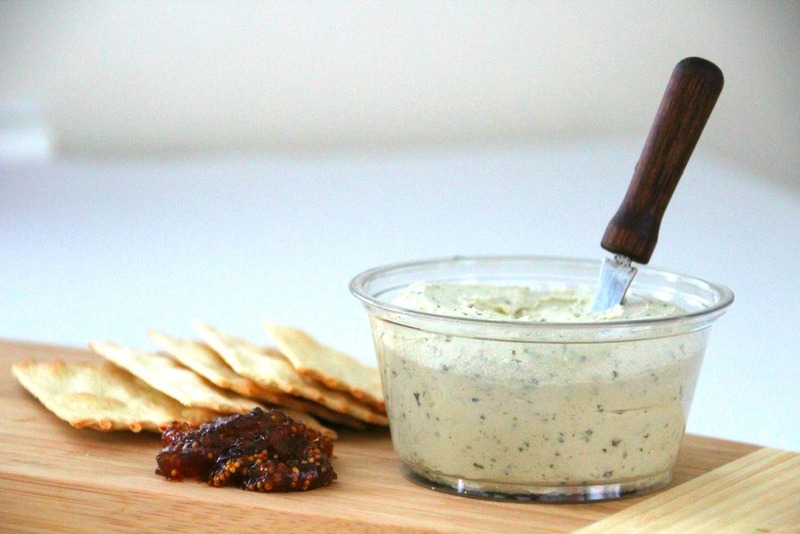 Say hello to the most perfect appetizer ever: cheese & crackers with fig spread! This dish is unbelievably easy to put together and pairs perfectly with a nice bottle of wine! The creamy nut-based cheese is what really makes this appetizer. It’s an herb-garlic soft French-style cheese from Treeline. The cheese is nut-based so it is suitable for most people, with the exception of those with nut allergies. Treeline is a dairy-free cheese company that believes that milk is only made for baby cows. They are vegan-based and use pure, natural ingredients in their products. The cheeses are sold nation-wide in various Whole Foods and other such stores. For more info check out their website. Also, there are recipes all over the internet for nut-based cheese so feel free to make your own!